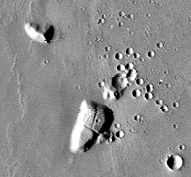 Original grey scale image from USGS NASA/JPL 1975 Viking mission. 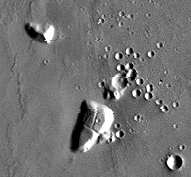 Thanks to NASA/MALIN/USGS for use of these original Mars images. Image size = 2048 rows by 2104 columns. Resolution = 256.0000 pixels per degree (true at the equator). 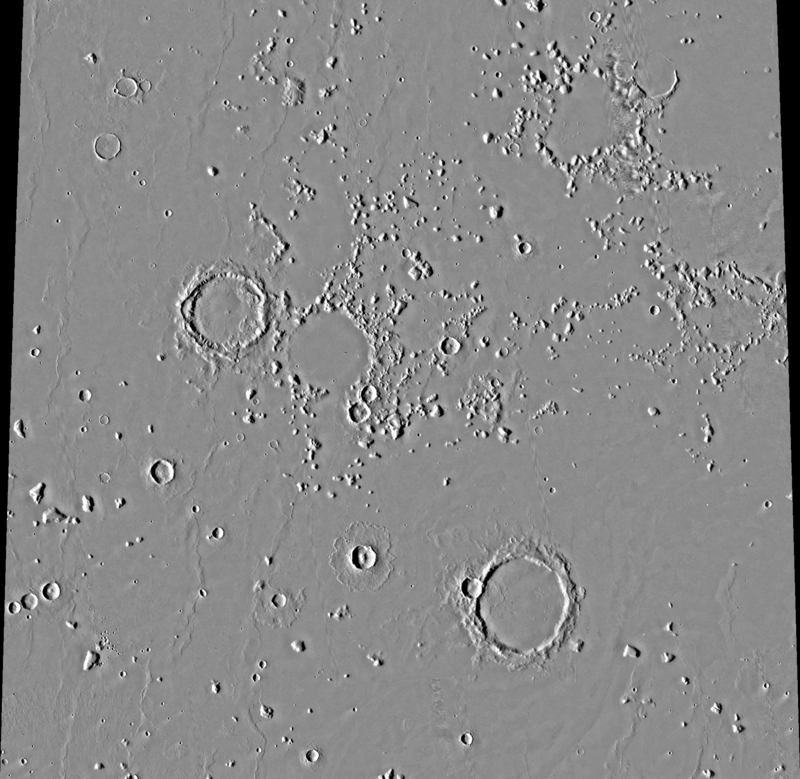 Scale = 0.2314 kilometers per pixel (true at the equator). Top Latitude = 27.5 degrees north. Bottom Latitude = 19.5 degrees north. Left Longitude = 179.9 degrees west.